Should I Self-Publish A Paperback Version Of My Ebook? When it comes time to publish, I always publish paperback and ebook versions. But Why? To be perfectly frank here, Kindle ebooks are far and away my best income source, so why do I bother going to all the extra effort to publish in paperback, when the potential return from all the work is so little? Firstly because it adds credibility. When a book is listed on Amazon, for example, having multiple versions of a title simply looks better and carries more weight with potential readers. Another reason is that having two versions allows for much more metadata, so a book is much more discoverable. I have written about this before in the following articles. How To Master Kindle Keywords, How To Make Your Amazon Book Description Stand Out and Book Metadata. 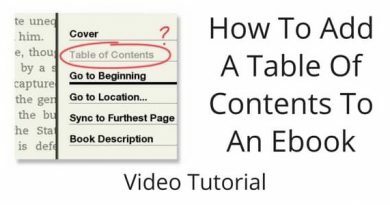 By using the possibilities offered by Amazon Author Central, there are many ways to add much more than the basic information to a book, and with two versions, it is possible to expand these possibilities even further. One example is the ability to add editorial reviews, which can be different in Kindle and paperback versions. These additions made to your books on Author Central appear on your book page on Amazon, so they offer fantastic potential to increase your book’s appeal and discoverability. One other reason to publish in paperback is if you plan to release your new title as a Kindle ebook pre-order. Because Amazon does not activate the ‘Look Inside‘ feature on ebook titles under pre-order, it is not possible for readers to have access to a preview read. But if you publish a paperback version a couple of weeks ahead of your ebook version, this WILL have ‘Look Inside‘ activated. The last reason is book reviews, as they cannot be posted to a pre-order, but they can be posted to the paperback version, and can then be seen on the Kindle ebook version as well. So in a round-a-bout way, I publish a paperback version with the thought in mind of preparing for the release of my Kindle ebook version, which as I said at the beginning, is where I plan to make the most sales. So to answer my original question – should I self-publish in paperback? Yes, always, because in so many ways, it will help you sell more ebooks. Should Authors And Readers Be Allowed To Connect? What to do when you have a book that is on the process with the editorial and it´s going to be publish on Amazon and two other websites. But they don´t what to go on for paperback. Does it mean they dont trust my book? I was even thinking of looking for and editorial to translate and do both english version on ebook and paperback. Will you recommend that? Without knowing all the details it’s difficult to advise you. All I can say is that publishing in ebook format is very easy and can be done by anyone. Normally, a reputable publisher would publish a book in trade quality paperback or/and hard cover and manage the distribution to retailers, plus book marketing. If a publisher is only offering to produce in ebook, I would be concerned, as this can be done easily, without the services of a publisher. Sad reality. For me at least! Is a 230 pages book. The editorial has rights only in my country and in spanish version. Thanks for the advice, mostly for novel writers like me. Absolutely, publishing in print–paperback or hardcover–is still considered more prestigious than an ebook. While self-publishing in general is publishing without the “gatekeepers” traditional publishers are supposed to have for separating the wheat from the chaff, self-publishing an ebook is almost always a free proposition for the author-publisher. Often that means no independent, professional editing. A print book requires some monetary investment–the cost of print, right off the top–but, if one has any sense that their book is worthwhile, professional editing, as well as design and layout, rather than templated “bookmill”-looking books are wise investments. The idea, after all, is to self-publish books that do not suffer in quality compared to traditionally publihed books.